Reliability Block Diagrams (RBDs) offer a way to graphically depict the configuration of the components of your system or product. The layout and connections of the components indicate the path of successful operation. RBDs typically have a starting point and ending point with the various system components arranged between these two nodes in a way to visually represent their relationships. The objective of an RBD analysis is to determine the reliability metrics of the system based on its configuration. Therefore, an RBD consists to two parts: the front-end graphical diagram that depicts a system, and the back end calculation engine that computes the reliability measures of the system. RBDs provide the ability to model a complex system, usually one that includes redundant components. Additionally, RBDs can include repair related data to more accurately reflect real-world system performance. Depending upon the complexity of the system model, RBDs may be analyzed using analytical techniques, simulation, or a combination of the two. The high-powered Relyence reliability tool suite supports RBDs through our Relyence RBD module. Relyence RBD combines a visually impressive, easy-to-use diagramming front end with a powerful behind-the-scenes calculation engine. The power of Relyence RBD lies not only in the ability to create complex diagrams with ease, but also in the ability to provide a comprehensive set of calculation options and metrics for reliability assessment. You begin by constructing your block diagram using our intuitive RBD editor. Using our built-in smart layout abilities, your resulting diagrams are automatically drawn in a well-organized and efficient manner. Relyence RBD is designed to make sure you are spending your time where it matters most: in performing reliability analysis and achieving your reliability objectives, not struggling with inefficient diagramming utilities. You can add images to your block diagram for additional impact and visual clarity. The second step is to define the characteristics, or properties, or your system components. For example, some components may be in a redundant configuration. An example of redundancy is when two components are included in your system in a side-by-side configuration. They are both not required for the system to remain operational, but the second component is on hand to take over if the main component fails. Intuitively, you can see how a redundant design would improve your system reliability. To complete the modeling of your system, you then describe how the components of your system perform by selecting an appropriate input distribution model. You can also designate if a component is repairable, and if so, indicate its repair distribution model. You can create a system model as high-level or as detailed as you would like. Once your diagram is complete, you then engage the high-powered RBD calculation engine to complete your reliability assessment. You select which metrics from Relyence RBD’s broad set of options you wish to calculate. The Relyence RBD calculation engine automatically optimizes the calculations required in order to provide you with accurate metrics using the most efficient computational approach. Your RBD results are shown in a tabular fashion and also directly on your block diagram. You can generate reports of your results in the tabular format as well as in the graphical format. Relyence RBD also has the ability to export your results to various formats such as PDF and Excel, or JPG and PNG. The core of Relyence RBD is its calculation engine that supports a host of reliability and availability related metrics. You can choose the measures to compute based on your specific needs or requirements. In cases where an analytical solution is possible, the Relyence RBD calculation engine will determine the equations that completely model the system as configured and provide the analytical results. 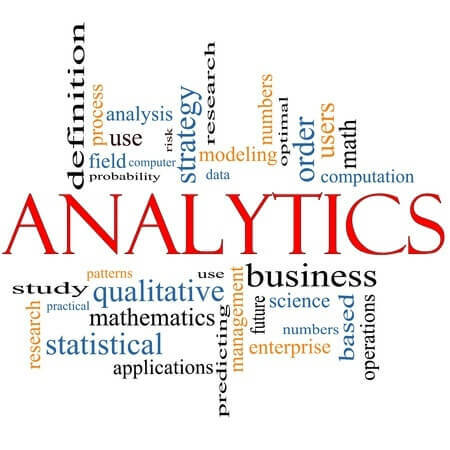 If an analytical solution is not possible due to model complexities, Relyence RBD engages a behind-the-scenes Monte Carlo simulation engine to run system simulations to determine the results. In many scenarios, Relyence RBD will break down the system model in order to use a combination of analytical and simulation techniques for maximum computational efficiency. In some cases, analysts prefer to always utilize the Monte Carlo simulation engine, and Relyence RBD allows you to set this preference if desired. The following describes the inputs you will see when you initiate a Relyence RBD calculation. As noted, you can choose any combination of the available metrics. Relyence RBD will automatically remember your selections from calculation run to calculation run. End time and Number of display steps: RBD calculations all begin at time zero, and will be computed out to the time your select as the End time. The interval between time point results is determined based on the Number of display steps selected. In the example above, the time point results will show 10 results plus time point 0: time 0, 100, 200, 300, 400, 500, 600, 700, 800, 900, 1000 hours. 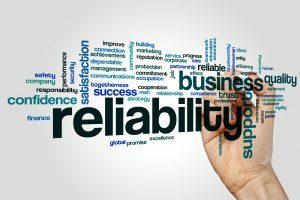 Reliability: The probability that the system has not failed when no repairs are made. Failure rate: The rate that the system fails, given that it is currently operating, when no repairs are made. Availability: The probability that the system is operating when repairs are taken into account. Mean availability: The average availability the system has experienced. Hazard rate: The rate that the system fails, given that it is currently operating, when repairs are taken into account. Total downtime: The cumulative total of the time the system has been in a failed state. Unreliability: The probability that the system has failed when no repairs are made. Equivalent failure rate: The failure rate a constant failure rate system would have to achieve to meet the same Reliability value of the system under analysis. Unavailability: The probability that the system is not operating when repairs are taken into account. Mean unavailability: The average unavailability the system has experienced. Failure frequency: The expected frequency that failures will occur in a repairable system, whether it is operating or not. MTTF: Mean Time To Failure, assuming no repairs are made. MTTR: Mean Time To Repair for a repairable system. MTBF: Mean Time Between Failures: The average time between successive system failures, including the time to fail and the time to repair. Availability: The availability the system will stabilize at if it operates sufficiently long enough. Path sets: Determines the path sets, or successful paths from the Start Node through the End Node. Number of iterations: The number of iterations for the simulator to run. Increasing the number of simulations increases the accuracy of the results, up to a point, but also increases computational time. Number of failures to reach steady-state: Sets the number of failures components can experience before considered to have reached steady-state. Set random number seed: You can enter the random number seed if you wish to specify the random number seed for the simulator engine. Otherwise, Relyence will obtain a random number seed. Always use simulation: Relyence will use an analytical (non-simulated) calculation method if at all possible to obtain exact results. If you prefer to always use the simulator engine for your RBD calculations, select this checkbox. 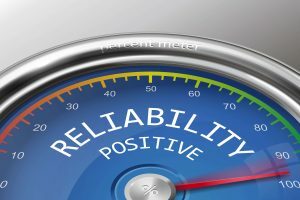 Relyence RBD has a wide range of advantages that make it a powerful addition to your reliability toolset. Relyence RBD incorporates the core capabilities of a reliability block diagramming tool and adds on a comprehensive set of additional features to provide a robust, feature-rich RBD tool. One of the most outstanding features of Relyence RBD is the support for analyzing the effect of redundant system configurations. In some cases, the effects of adding redundancy to your design can have dramatic effects on reliability. Relyence RBD can help to assess the impact of various scenarios, perform “What-If?” calculations, and evaluate design alternatives to come up with the best overall approach that meets your objectives. Series: A series configuration has no redundancy, and all components are connected in series and all must be operating for the system to successfully function. Cold Standby: Cold standby is defined as a number of identical components in a redundant configuration. Oftentimes, noted as k-out-of-n redundancy, indicating that a quantity (k) out of a total of (n) components are required for the system to operate. In cold standby, the standby components are not active and will not fail. Once a failure occurs, the standby unit is activated so that the system remains operational. Hot Standby: Similar to cold standby, however, the standby units are turned on. When a unit fails, the standby unit takes over. Parallel: In a parallel redundant configuration, all components are operating all the time and only the designated quantity (k) is required to keep the system operating. Relyence RBD also supports the ability to create subdiagrams to allow you to manage, organize, and maintain your RBDs. This is helpful with larger block diagrams, or to support reuse in cases where a subsystem may be used in more than one place. By using subdiagrams, you can more effectively represent complex diagrams and offer a more compact visual view of your system. Relyence RBD has a separate pane to display the hierarchical relationships between your diagrams and subdiagrams. This pane makes navigation through a complex system quick and easy. When modeling systems using RBD techniques, common statistical distributions are used to describe the failure and repair profiles of your system components. Supporting a range of distributions allows you to accurately model the characteristics of your systems for accurate analysis. Constant Time: based on duration, or time. Exponential: based on Failure Rate or MTBF. Gumbel+: based on Location parameter (Zeta) and Scale parameter (Delta). Gumbel-: based on Location parameter (Zeta) and Scale parameter (Delta). Lognormal: based on Mean (Mu) and Standard Deviation (Sigma). Normal: based on Mean (Mu) and Standard Deviation (Sigma). Rayleigh: based on Scale parameter (Eta). Uniform: based on Lower Bound and Upper Bound. Weibull: based on Shape parameter (Beta), the Scale parameter (Eta), and Location parameter (Gamma). The Relyence RBD module is coupled with the Relyence RBD Dashboard to provide an at-a-glance overview of your reliability and availability measures from your block diagram analyses. The Relyence RBD Dashboard can be completely customized to your needs. You can select the widgets you want to see on your dashboard, as well as what systems you want to monitor, along with various other data filtering options. Blocks Linked to Components: A listing of diagram blocks that are linked either to Reliability Prediction subsystems. Blocks with High Results: A listing of diagram blocks that are greater than a specified result value. You can select the results value you want to filter on and the result value above which you want to see. Blocks with Low Results: A listing of diagram blocks that are less than a specified result value. You can select the result value you want to filter on and the result value below which you want to see. RBD Path Sets: A listing of the Path Sets of your RBD(s). Repairable Blocks: A listing of diagram blocks that are designated as repairable in your RBD(s). Tagged Blocks: A listing of diagram blocks that are designated as tagged items in your RBD(s). Top Ten Highest Unavailability Blocks: A listing of the 10 diagram blocks with the highest unavailability. Top Ten Highest Unreliability Blocks: A listing of the 10 diagram blocks with the highest unreliability. The Relyence RBD dashboard widgets can be used in combination with other Relyence product widgets if you are using more than one product in the Relyence line. Using cross-module dashboards can provide you with a powerful mechanism for keeping track of all your reliability metrics and help you better attain and maintain your reliability and quality objectives. Relyence RBD is part of the integrated Relyence platform, so your Relyence RBDs can access metrics from your other Relyence modules. You can link your RBD blocks to subsystems in Relyence Reliability Prediction, so failure rate values can be automatically obtained from your prediction analyses to be used in failure distributions of your system component properties. Relyence RBD accomplishes this goal on many fronts. Our front-end diagramming tool is not only easy to use, but also allows you to create effective, crisp, sharp-looking RBDs. Our back-end calculation engine is tuned for computing a broad range of metrics in the most efficient way. Added to those core capabilities is a complete set of features to extend RBD analysis to a new level. Relyence RBD represents the highest level performance in system modeling packages. Register for a free trial of Relyence RBD, or contact us to schedule a demo or to discuss your requirements.